When manufacturing in China it is imperative to regularly visit factories and keep on top of all aspects of production. This is often a difficult task when you’re located halfway around the world. To make things easier, let’s take a lesson in gift box manufacturing that doesn’t require a plane ticket. Step One: For gift box manufacturers, the first process in cardboard cutting is to cut the large piece of cardboard down into a smaller piece of cardboard. This process is repeated until the desired size of cardboard is reached. After this, the cardboard begins it’s the journey into die cutting. Step Two: Die cutting is where the design is cut out using pressure. As seen in this video, the worker moves one piece into the die while pulling the die cut piece out at the same time. Meanwhile, the machine keeps moving. This process can be slowed down for different materials, for example when die cutting PU the machine is slowed due to the PU having less rigidity and therefore being more difficult to place accurately. Step Three: The printing process is started by creating the desired color of paper and printing a design onto the colored paper. This process needs to ensure that the paper is the correct colour on both sides. 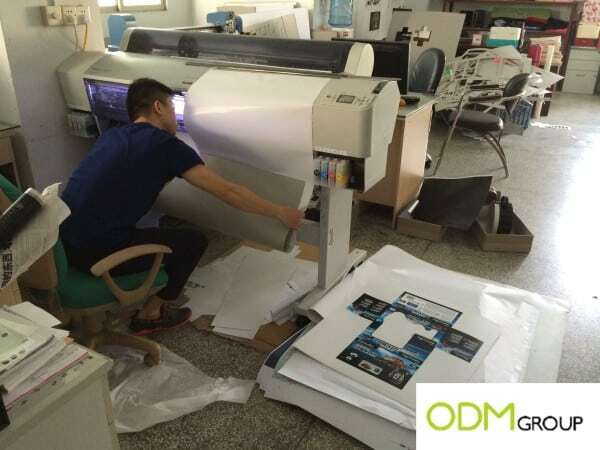 The paper is fed through print rollers to apply the logo smoothly. Step Four: It is then critical to allow the print to dry for the correct amount of time due to the stress put on the print during the following steps. 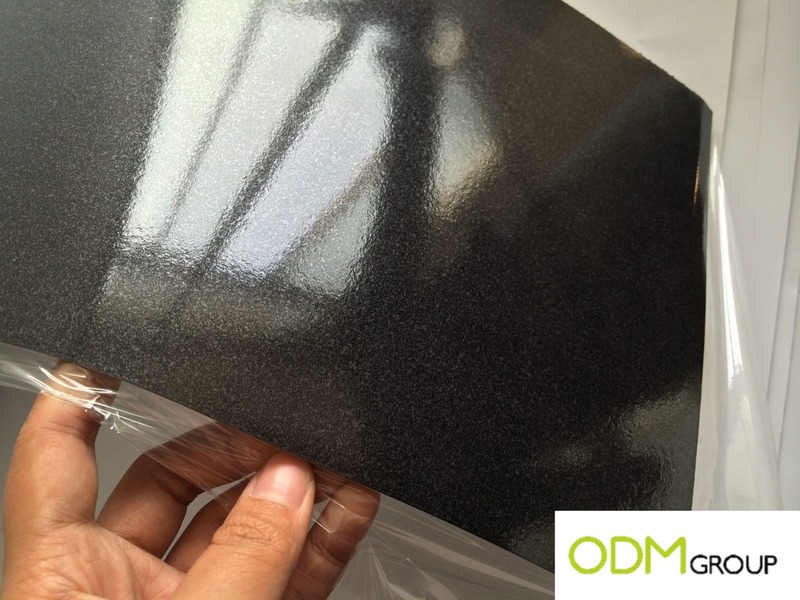 Lamination is when the paper is passed through rollers and attached to lamination film that is also being fed through. This results in the paper not only having a glossy finish but also having increased strength. Step Five: Following lamination, the laminated paper is now passed through another machine which coats the inside in glue. Following this, the die cut cardboard is applied to the paper. As seen below, the final process is to smooth the sides and create the finished foldable piece ready for final assembly. Step Six: The required pieces are then glued inside and shaped for assembly into the finished box. Step Seven: The final production step is to allow the box to dry thoroughly prior to shipment to the client. 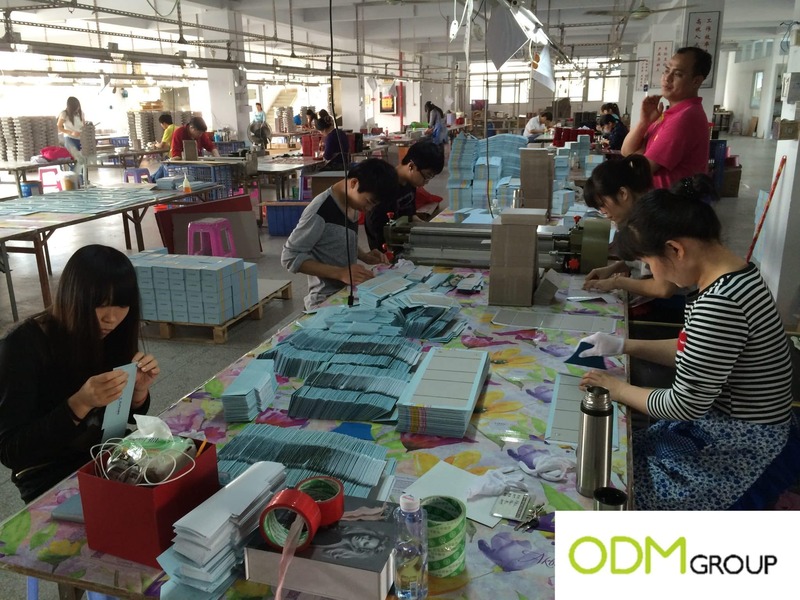 Once fully dry the boxes are ready to be QC’d and packaged into cartons before being shipped out. Should you wish to request a quotation for box manufacture please contact us here. If you’re yet to have a finalized design then, Mindsparkz, our sister in-house design company can assist you.